The Office of Undergraduate Student Life fosters learning experiences for all students at Stevens through intellectual, personal, and social development that occurs beyond the classroom. We prepare students holistically through leadership development, co-curricular programming, community engagement, and dialogue around inclusion and diversity. We strive to create a community of learners that think critically and act responsibly both within the Stevens community and beyond. Specifically, we advise and provide organizational support to nearly 100 student organizations, facilitate programming for women through the Lore-El Center for Women's Leadership, Stevens LEADS, and Diversity Education, and oversee Greek Life at Stevens, which includes 18 social sororities and fraternities. Additionally, our office coordinates annual campus wide programs from Orientation and Techfest to Freshman Family Weekend and the Student Leader Awards Brunch. Do the Duck Dance, Aye! Save the date for our Annual Freshman Family Weekend from October 12-13. Engage in opportunities outside of the classroom to compliment your academic experience. Check-out the 100+ student organizations you can get involved in! 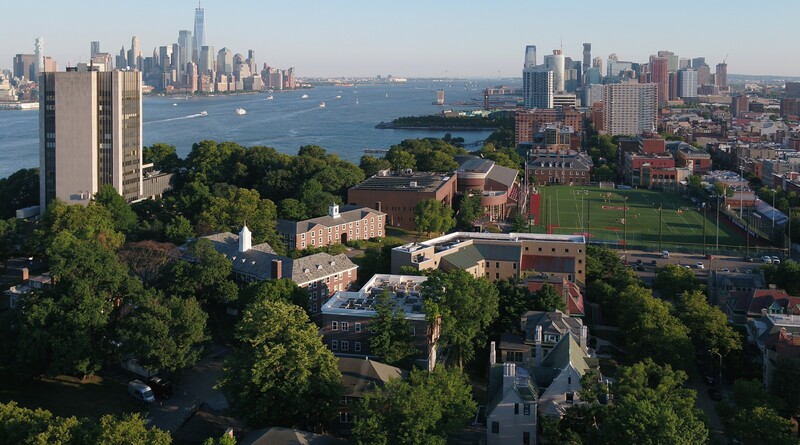 Stevens students are engaged in service opportunities throughout the Hoboken community and beyond. Check-out our website to get involved!